Benjamin geared-out post-ATV adventure at Camp Hale. I’m a month into America’s Best Summer Job and I’d like to think I’ve begun to understand a few things about summer life in Vail. And one of those things is gear. People love their gear in the mountains and—almost more than during winter—summertime means one can amass quite a lot of stuff. 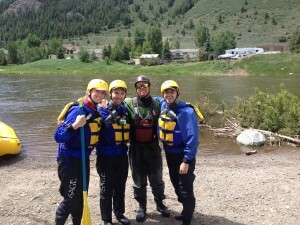 Benjamin (right) after conquering the Class Four Rapids of the Upper Eagle River. All anyone could talk about was how high the water was. Huge winter snowfalls combined with a fast-arriving Spring meant that river runoff in the Vail Valley had pushed local rivers to their peaks. I had seen the raging Gore Creek during the GoPro Mountain Games but I had no idea how good the whitewater was until I found myself in the middle of some Class Four rapids. Benjamin interviewing pro skier and avid stand up paddler, Steven Nyman, during the GoPro Mountain Games. Credit: Michael Brown. Courtesy: Adventure Film School. I’m convinced. The GoPro Mountain Games has got to be Vail’s best kept secret. I’m not exactly sure how or why I didn’t know about this epic weekend of emerging sports, gear giveaways, and rock and roll, but I’m sure glad I know about it now. 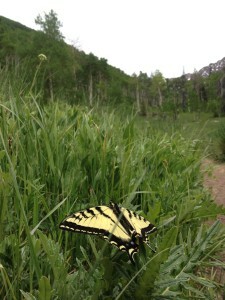 Spotted this little guy along the Pitkin Creek Trail. Don’t misunderstand me; the Vail Valley is home to some incredible summer activities, including mountain biking, whitewater rafting, fly fishing, award-winning dining, and A-list performances. But this is a mountain town. So the best way to understand Vail is to venture into those mountains on foot. My welcome party at Denver International Airport. As we drove up I-70 on Monday afternoon, it all came flooding back. There was the unreal green; the crisp, dry air; those fairy tale waterfalls. I was going to be spending the summer in Colorado for the first time in almost a decade. I couldn’t stop from grinning. 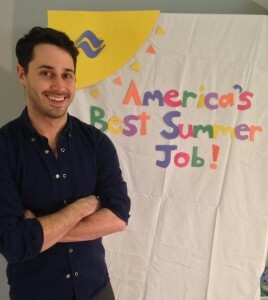 Congratulations to America’s Best Summer Job Winner, Benjamin Solomon of Brooklyn, NY! 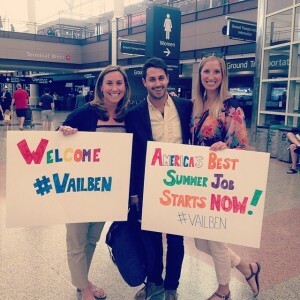 Benjamin will be escaping the heat of the city to experience all that Vail has to offer this summer – concerts, events, festivals, hiking, biking, rafting, fishing and more. 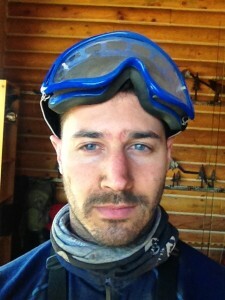 He’ll also be calling the hotels of Vail home while he keeps track of his adventures through blogs, videos and social media (#VailBen).